Seller will give you a gift certificate in the amount of 4,9739 RUB for a positive review of the product purchased. 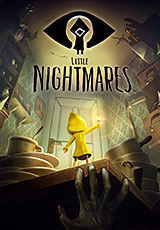 Little Nightmares is a dark tale that will make you remember your childhood nightmares. Help the Six to get out of the Womb - a strange underwater vessel inhabited by creepy creatures who are just looking for something to profit ... You will end up in a terrible doll house that will simultaneously become your prison and playground. Wake up the child in yourself, give scope to fantasy and get free! Seller will give you a gift certificate in the amount of 4,9739 RUB for a positive review of the product purchased..